Now, don’t get us wrong, every one of our Spray Tan and Fake Tan clients are absolutely special to us. We get acquainted pretty quickly after all, and our Wilde professionals provide instant satisfaction with every single spray! 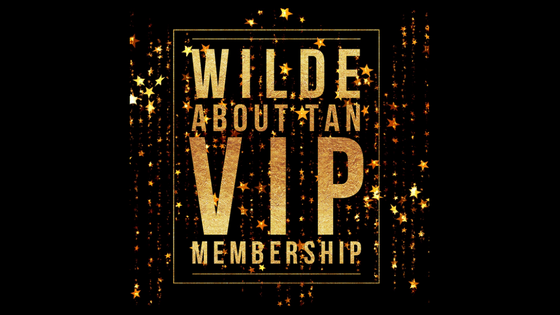 The word on the street however is that those of you who want to feel that good every week, every month and perhaps all year round are opting for Wilde About Tan’s shiny new VIP Membership. So what’s so good about it!? For your £39pm, you receive two Spray Tans. That works out at £19.50 for a professional mobile Spray Tan…from Wilde About Tan…I know, crazy bargainess! If you want to book more in any given month, we’ll give you those for £19.50 too! If the discounted tans weren’t enough, you receive a wonderful gift from your Wilde professional upon making your first payment. This could be Custard or Mousse or Tan Eraser or….you get the idea. These gifts are awesome and absolutely FREE! Every three months your professional will deliver or send you another absolutely FREE gift, just for being so darned loyal to WAT. You can feel free to give these away to friends and family, or keep for your lovely self. 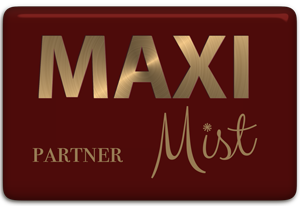 You will be finding out all the behind the scenes info, top tips, competitions and more from WAT HQ via our wonderful new Newsletter. No one else see’s this, only you cracking VIP clients. Once every three months, you can give a tan away to one of your friends if you wish. Perhaps you are away on holiday and don’t want it going to waste or you’re just feeling mighty generous, we will be happy to spray them the Wilde way! You don’t have to worry about missing out on your Spray Tan’s because you forgot to book. You are VIP’s, we will go to the ends of the earth to make sure you are all organised. Whether we arrange it at your last appointment, or directly contact you before the new month hits, we aim make the process as painless as possible for you. You are going to love it sooo much, you will want to hook up your friends and family. We will see to it that you are duly compensated each time someone signs up from your referral. You will be able to read more about this in the WAT VIP Newsletter. We are here to make things easier for you, not trickier. If you have to move away from the area or something (yes I’m being extreme, because what other reasonable excuse is there not to be Wilde all year round!?) you have the power to cancel your VIP payments. We don’t look for any notice period – we’d just love if you dropped us a text/e-mail giving us a heads up. Want to talk about VIP membership in your area? Message us here and we’ll do our best to fix you up asap! Be sure to note down if you already know your WAT area professional.